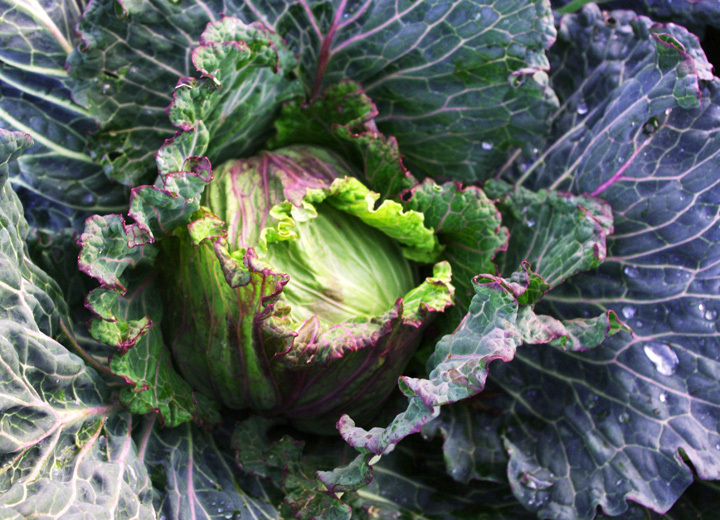 January King Cabbage by Rachel B.
I am absolutely obsessed with the beauty of the January King. The green with the contrasting purple. The scalloped savoy leaves. This is one of our plants out in the garden. I heart it. As a matter of fact I think I already have that variety! They threw it in as one of the freebies when I last bought seeds. Ha ha. If I can find more seed of this type (I bought the seed in the UK) or successfully save it this year I will gladly share it with you.